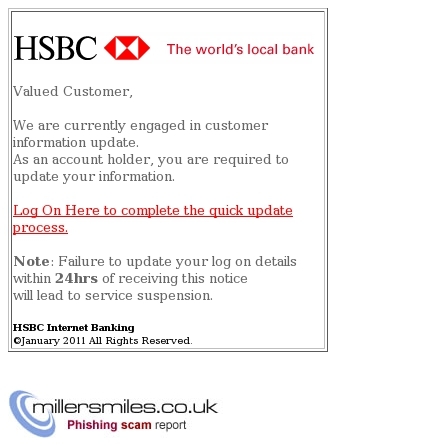 Hsbc Internet Banking-Your Account Has Been Restricted! will lead to service suspension. �January 2011 All Rights Reserved.